Tenugui:- Cotton towel worn on the head underneath the Men. Dan (Degree): This indicates over-all kendo abilities including techniques and mentalities (attitudes). 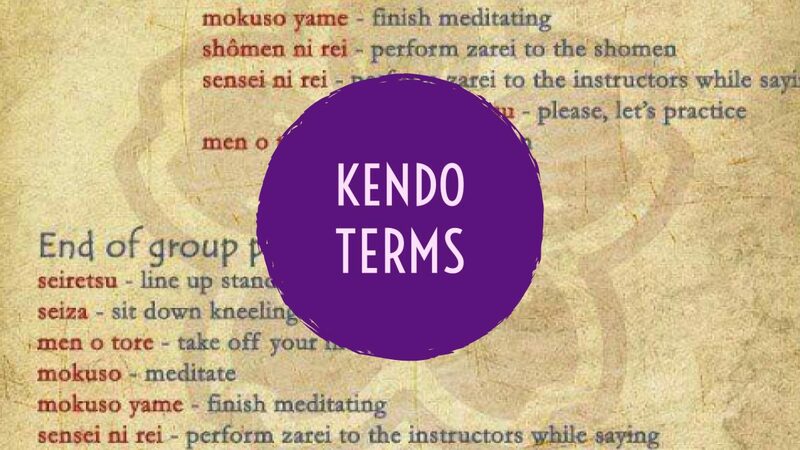 Shogo (Title): This indicates the degree of completion as a Kendoist. In addition to the conditions of Dan, one must have instructional abilities and knowledge of Kendo. Renshi: Those who have practiced and succeeded to show the principle of the sword and have good knowledge of Kendo - Must have 6th Dan. Kyoshi: Those who have mastered the principle of the sword and have excellent knowledge of Kendo - Must have 7th Dan. Hanshi: The highest of all. Those who have mastered and completed the principle of the sword, have outstanding knowledge of kendo together with an excellent and virtuous personality - Must have 8th Dan. Techniques, Stances etc.These are words that describe ways of standing, moving or doing things. They often get shouted out in the dojo with little explaination so this should help those people who haven't learnt them yet. Kata:- Pre-determined forms using bokuto, used as a basic training method for sword techniques. 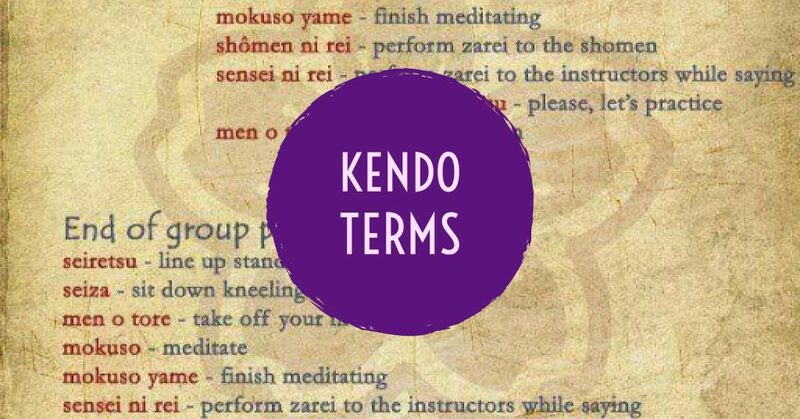 Keiko:- Practice, originally to study (kei) ancient times (ko) this term is used for the practice of bugei(martial arts) and gei-goto (arts). This word doesn't simply mean repeating the practice, it also includes the importance of one's attitude to the art being studied. The process is also connected to the everyday life and the endeavours of creating a new self through the unification of these two elements (art and life).